Peruvians for sale; show, pleasure. We are a small, but focused breeding farm with Multi-Champion Ribbons, and a GORGEOUS Buckskin, sweet Multi-Champion Stallion at Stud. We have won top ribbons riding our own horses in multi-state shows, and in Parades. 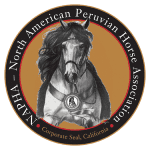 Business Tags: Champion Stallion at Stud, Peruvians for Sale.